Stories are ancient; ever since there has been someone alive to talk about the things that have happened, will happen and will never happen there have been stories. Stories are very powerful in Conversational Hypnosis, you have learned how to use stories to cover the 4 Stage Protocol and will continue to learn how stories can be more and more beneficial in the art of hypnosis. By now you should be a fairly good story teller. You have had your whole life to practice as there isn’t a day that goes by when you don’t tell a story to someone. You have also had a brief period of time in your study of hypnosis to learn how to start to mold your stories so they accomplish certain tasks. For instance you have learned to activate the conscious and unconscious thought processes specifically when you want with stories. You have also learned to use stories to evoke emotions from people, get reactions, as well as to run parallel to the problems and situations of people’s lives. All the skills you have learned are not listed here but the point is you have learned a lot and can use those skills in your hypnosis. Now you need to learn how to perfect a story in the manner of getting exactly what you want from it and the person you are working with. With the entire story telling experience you have you should be able to easily come up with stories whenever you need them. You should also be flexible enough in your story telling that you can shape them with specific needed themes, settings and characters. You should be able to really make the stories you tell do what ever you want. So now you have all these stories and ways to use them, you need to know how to really get what you want with them. The first way to make a story truly hypnotic is to use it to deliver an embedded suggestion. This is one of the easiest and strongest ways to plant or embed a suggestion in a listener, deliver it by way of story. This was of course discovered by the great hypnotist Milton Erickson. He used embedded suggestion in many types of stories; he also used them in readings of what seemed like complete and utter nonsense. The only reason they were not complete nonsense on the technical side was that there were embedded suggestions placed throughout. So you learn that if Erickson could use embedded suggestions within complete nonsense why can’t we use them within stories, and the answer is you can and you will. In fact Milton Erickson did this as well with his famous tomato plant induction. Dr. Erickson was asked by the family of a dying cancer patient if he would see him and try to ease the unbearable amounts of pain the man was in, he was on many drugs and there was nothing else anyone could do for the man. This man was a florist and when Erickson went to see him he decided to talk to the man at length about the kinds of plants Erickson himself knew a bit about. Dr. Milton Erickson spent hours talking to the man about tomato plants, he talked about how they grew, and loved the rain, all the things tomato plants do. As he did this he was embedding messages of hope, ease, comfort and growth. As the man’s family listened they were growing more and more impatient and wondered when he was going to start the hypnosis to make their ailing friend better. They eventually decided enough was enough and went into the room to give Dr. Erickson a note about getting on with the reason they came. Upon entering the room they realized that their family member was actually so deep in trance he did not even notice they had entered the room. After the hypnosis the man’s condition improved drastically. The moral of the story is that you like Dr. Erickson can embed ideas of any theme within the context of any story. Dr. Erickson used a theme of tomato plants because his subject took an interest in plants, and he embedded themes of hope, growth, comfort and being at ease. He did this in a way that was not obvious to the subject and it certainly was not obvious to the man’s family either, so these themes and suggestions were well hidden with in the stories subject of tomato plants and all the need and do. You can do this too. It is fairly simple; the theme of your story really doesn’t even have to relate to the suggestion your theme of your suggestions. It is in fact better if the two have no relationship at all because then the conscious mind will never know what was going on, it is not alerted and there for puts up no resistance. The second way to use stories to get what you want is to install an emotional trigger in the story. This is much like taking your listener on an emotional rollercoaster ride. This idea is very powerful because people have no choice but to respond to their emotions in a powerful way. When you take a person and put them through an emotional ringer you are activating their unconscious to get a response. This is a basic primal unconscious response. If you recall the 4 Stage Protocol you will see that once you have activated an unconscious response you are already at stage three. You have learned how to absorb attention with a story and the story itself will often bypass the critical factor simply because it is a story. So here you sit and you have triggered an emotion which is an unconscious response, the only thing left to do is get a reaction to that response and you have completed the 4 Stage Protocol. Setting off the emotional rollercoaster within someone can not only get you where you want to be in a hypnosis stance it will ultimately help your listener as well. By changing their emotional state you will influence the kind and quality of the decisions they make. In doing this you are in essence influencing their behaviors. The biggest trick you want to be aware of in installing emotional triggers in stories is to be sure you are triggering the emotion you want. This is of course very important, if you want your listener to be excited tell them a story to excite them not relax them. If you want relaxation and calm tell a story that will bring that emotion to light. 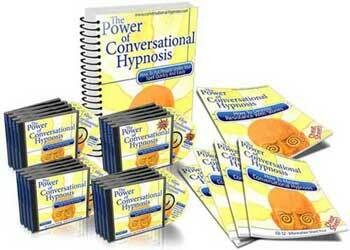 This is important as these emotions are going to very strong influence in you hypnosis once they are accessed.